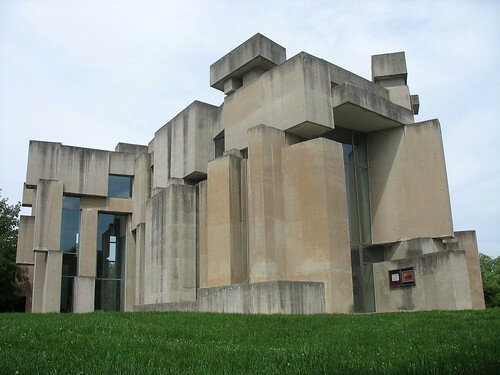 Here is a strange architecture for the 'Church of the Most Holy Trinity' in Vienna, commonly known as - Wotruba Kirche (Wotruba Church) - after the name of it's designer Fritz Wortruba. Fritz had made the initial model but died in 1975 during the early stage of design/construction. 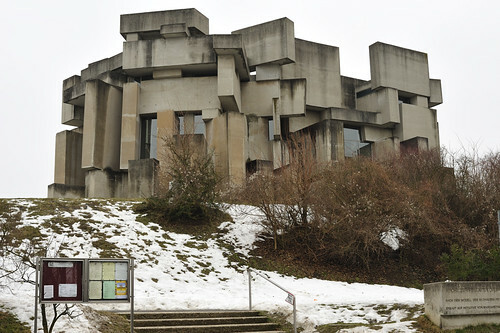 His collaborator Fritz G. Mayr continued with the work and the building was completed in October 1976. The church is 30 meters long, 22 meters wide, 15.5 meters high and is made of 152 irregularly placed concrete blocks of varying sizes. The largest block is 13.10 metres long and weighs about 141 tons. The spaces between the blocks are used as windows and doors. 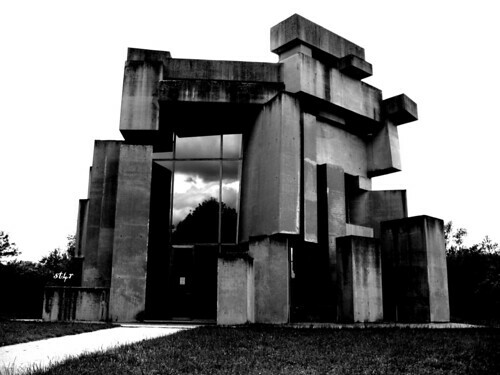 From a distance the Church looks like an enlarged piece of abstract sculpture and is often described as a Church inside an art form. Its unusual design had initially met with resistance and criticism by local population.